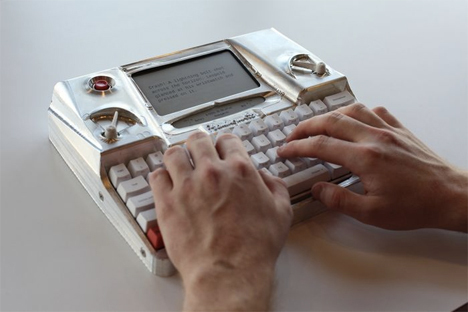 For a short time after typewriters started to decline in popularity but before computers became portable, there were portable word processors. They were kind of a cross between a typewriter and a laptop, with tiny monochrome screens and limited editing functionality. Most models offered storage via floppy disk, but some had only limited on-board storage and you were expected to print a hard copy if you wanted to keep your work. To say that we’ve come a long way since then would be a crazy understatement. Our phones are hundreds of times more powerful than those word processors, not to mention our laptops which are basically distracting entertainment machines. But that can be a problem for writers. When writing (especially when you’re on deadline and just really don’t want to write), the temptation to open Facebook or Twitter in a new tab can be overwhelming and completely irresistible. 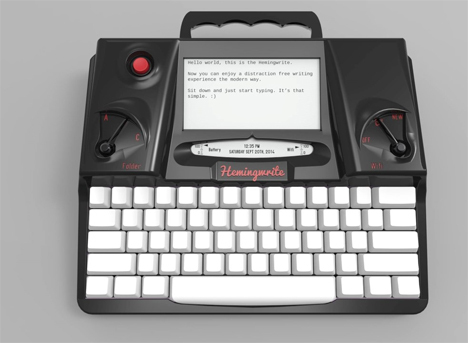 The Hemingwrite is kind of like an improved hybrid of the portable word processor and the laptop. It’s got the functionality that you need for mobile writing plus some nifty other touches – but you’ll find nary a game or other distraction. The first thing you’ll probably notice is the full-size mechanical keyboard. It gives that satisfying “click!” every time you depress a key, making you feel positively Kerouac-ian as you type up your latest masterpiece. The e-ink display lets you see clearly even in bright light or low light. 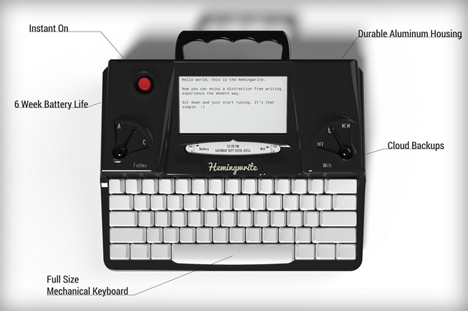 Despite its decidedly retro appearance, the Hemingwrite has some high-tech qualities. It allows cloud backup via wi-fi and plays nicely with your other word processing software like Google Docs. 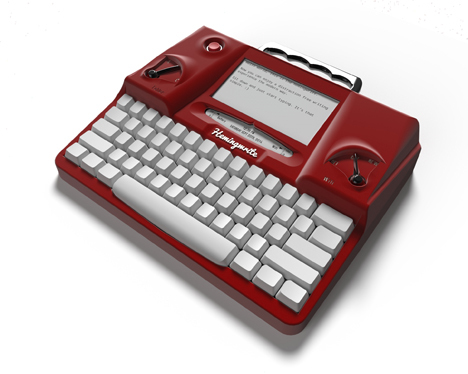 With an estimated battery life of six weeks and enough internal storage to keep more than a million pages safely tucked away, you can take the “distraction-free” angle even further and haul the Hemingwrite out into a remote cabin to finally finish your novel. You’ll feel like a proper writer with the whole typewriter vibe going on, but you’ll never have to deal with messy stacks of paper that can quickly get out of control. See more in Computers or under Gadgets. October, 2014.